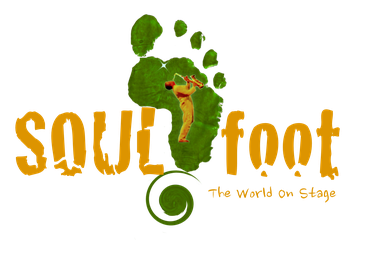 SOULFOOT the show is inspired by dance and music styles from different countries in Europe, Africa, Asia and South America. It combines a variety of international dance styles with musicians, singers and acrobats and merges their performances into a moving and poetic work of art. "Soul Foot provides thunderous applause "
"Soulfoot - The Show" : A brilliant start off with spirited world music "
"Dream of music and acrobatics is true"
"Soulfoot thrilled with musical style mix of different cultures, dance and acrobatics "
"Artists from four continents impressed with common show Soulfoot"
"Drum Fever and tango. Spectators can shake the blue tent."